In the comic book Asterix in Switzerland, the druid Getafix sends off Asterix and Obelix to Alpian mountains in search of a flower called Silver star, which was to be an important ingradient of his potion. 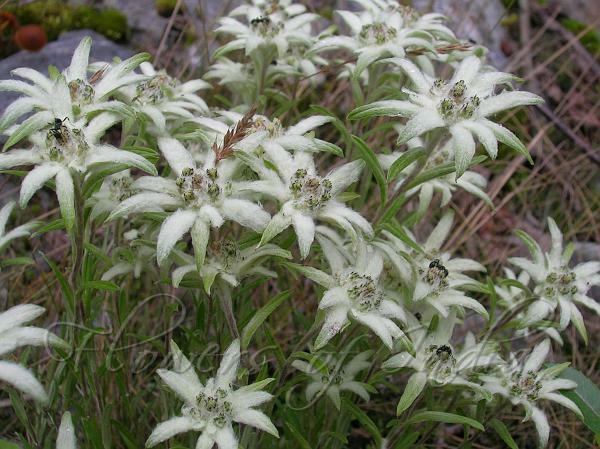 This flower, Edelweiss, is that revered silver star. 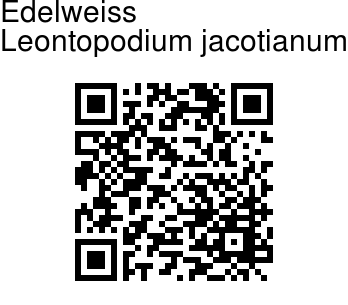 Edelweiss is the symbol of the Alps. It usually grows in inaccessible places, at high altitudes in the mountains of Europe, Asia, and South America. That is why it is associated in Slovenia with mountaineering. Its white colour is considered in Switzerland a symbol of purity and due to its beauty. It is about 6 in. tall with woolly-white floral leaves and small heads of yellow disk flowers surrounded by silvery bracts. Its name comes from the German words «edel» meaning «noble» and «weiss» meaning «white», while its botanical name derives from the Greek for «lion’s foot» - a reference to the shape of its downy flower.